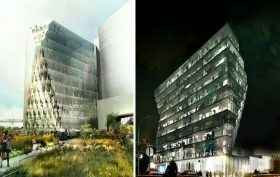 In October, plans by Studio Gang to expand the American Museum of Natural History and create the Richard Gilder Center for Science, Education and Innovation were stopped in their tracks after New York State Supreme Court Justice Lynn Kotler issued a temporary restraining order. 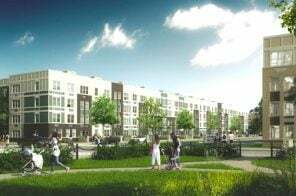 A lawsuit had been filed by a community group opposed to the expansion on the grounds that it would destroy public parkland and threaten the surrounding environment. 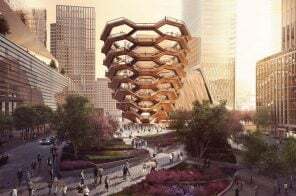 Judge Kotler on Monday ruled in favor of the museum in a decision confirming that all appropriate procedures in preparation for the project were followed. The decision will allow the museum to proceed with the $383 million expansion project. 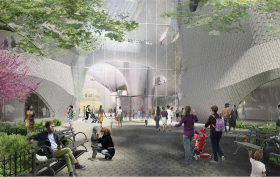 As 6sqft previously reported, last October the architects at Studio Gang tweaked their proposal for the American Museum of Natural History expansion to preserve more public parkland–and the Landmarks Preservation Commission unanimously approved the plans. 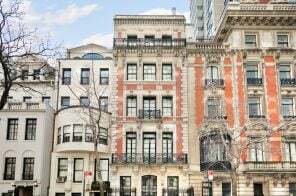 Now, Curbed reports, those expansion plans have been put on hold after a temporary restraining order (TRO) was issued against the Richard Gilder Center for Science, Education and Innovation by New York State Supreme Court justice Lynn Kotler. The TRO follows a lawsuit filed by a community group that has been opposed to the expansion, saying it will destroy the park, cause trees to be removed and endanger the safety and environment surrounding the construction area. How big a setback is this? 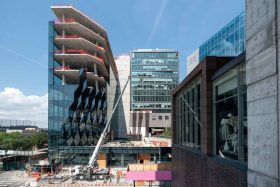 Since 6sqft reported just over a year ago on the beginnings of the building formerly known as the Solar Carve tower by celebrated architect Jeanne Gang at 40 Tenth Avenue, the new High Line-hugging addition has been quietly rising. 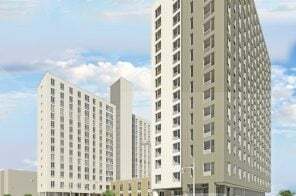 Now, the 10-story commercial tower has officially topped out, and we’ve got the construction photos and new renderings to prove it. 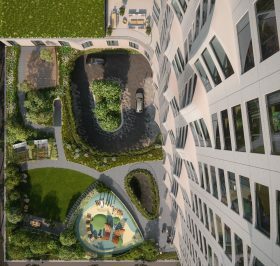 Just yesterday, 6sqft shared the news that Jeanne Gang‘s first ground-up project in NYC–the Solar Carve Tower at 40 Tenth Avenue–had begun construction along the High Line. 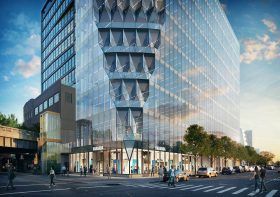 Now, the Post shares new renderings of the jewel-like, glassy structure, which is so named for its employment of the firm’s strategy that uses the sun’s angles to shape a building. 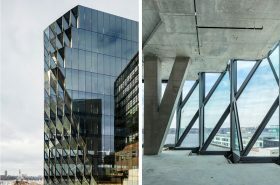 Along with these views of its chiseled edges, connection to the park, terraces, and interior spaces, comes word that developers Aurora Capital and William Gottlieb Real Estate have tapped Bruce Mosler of Cushman & Wakefield to begin leasing the 139,000-square-foot, 12-story boutique office building in anticipation of its 2019 opening. 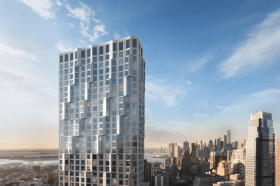 For an architect who had yet to break into the NYC scene, Jeanne Gang is now moving full steam ahead. 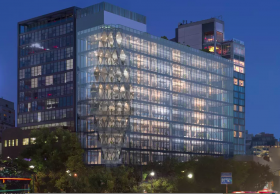 Her firm, Studio Gang, received LPC approvals back in October for their much-hyped, $340 million Museum of Natural History expansion, and now, CityRealty tells us that construction has begun on their razor-edged glass tower along the High Line. 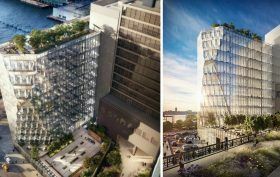 Dubbed “Solar Carve Tower” for the firm’s strategy that “uses the incident angles of the sun’s ray to form the gem-like shape,” the 12-story office building will be Gang’s first ground-up project when completed.